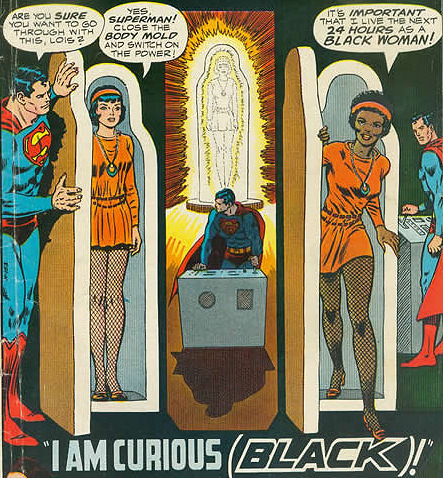 When I read the names of some of the people on this panel, I instantly started drooling. Comic historian and granddaughter of the founder of DC Comics, Nicky Wheeler-Nicholson; author of one of my favorite books, Batman and Psychology: A Dark and Stormy Knight, Dr. Travis Langley; and legendary artist Marguerite Van Cook in particular had me swooning. Listening to these great minds discussing the history of comics, from being crumpled in the pockets of soldiers in war-torn trenches to the grubby, sticky hands of children visiting newsstands (and what they've meant to readers along the way), was definitely a treat. 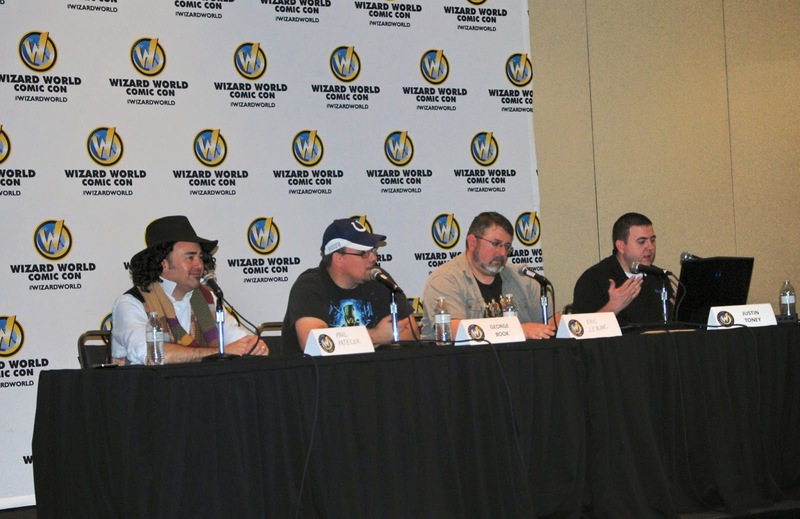 I couldn't even begin to do this packed house panel justice, but I will say that should you see a similar listing on a convention program in the future, do yourself a favor and go! 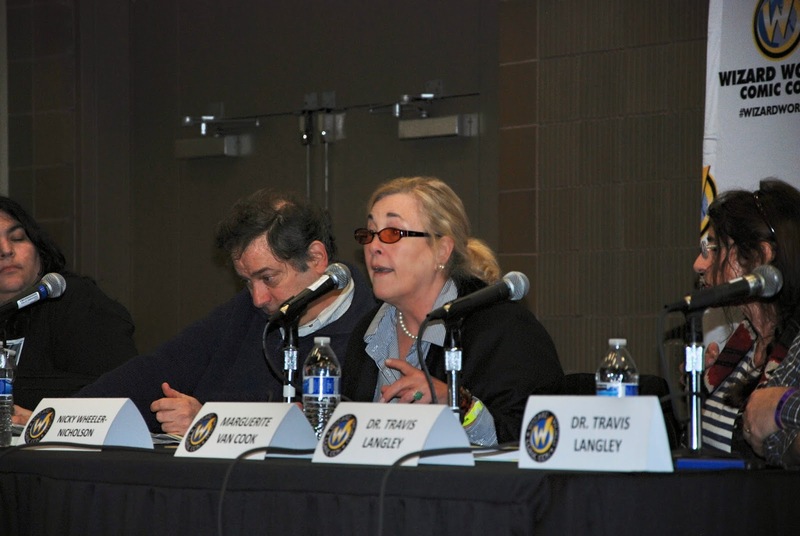 The Arrow and Mad Men actress had a fabulous panel full of fan Q&A, that I have painstakingly transcribed for The Mary Sue. She discussed her role as Sara Lance/The Canary on Arrow, and the representation of women and the LGBT community in the industry. I highly recommend giving it a read! Click here to put it in your eyeholes! 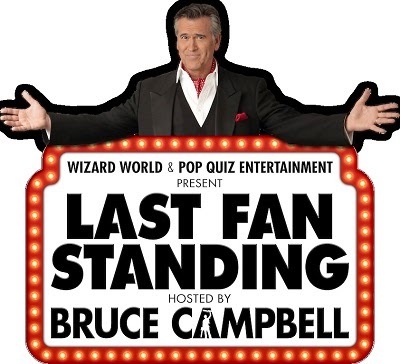 That's right, THE Bruce Campbell is hosting a game show called Last Fan Standing geared toward con goers and geeks! 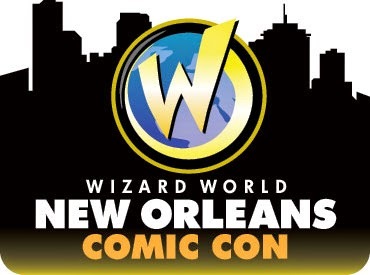 The show will be taping at Wizard World conventions throughout 2015, and will begin airing on brand new, digital channel, CONtv (a collaboration between Wizard World and Cinedigm) later this year. The show is a pretty straight-forward trivia game in which Campbell asks the contestants geek trivia questions of varying difficulty and awards points for correct answers. They start with four contestants and whittle that number down to two finalists who go head-to-head in cutthroat trivia for cash. Clearly the main draw is Campbell, who is both ingratiating towards the crowd and amusing as hell as he pokes fun at the contestants. The contestants are chosen from the taping audience via a mass trivia game. Each audience member is given a wireless remote as they enter the auditorium with which to answer trivia questions. There are then several rounds of trivia questions (some of which were stupid easy, others were no joke) and scores are decided by how many questions you answered correctly and how quickly you were able to do it. The four audience members with the highest scores at the end become the show's contestants. Just before the actual taping begins, Campbell himself comes out to warm up the crowd by pulling some audience members on stage to sing and dance with him. Once the actual show begins, the hardest part is not yelling out the answers when the contestants get them wrong. All in all, it was a fun, little show! To be fair though, I'll take any chance I can get to watch Bruce Campbell be witty, so they really couldn't go wrong in my book. CONtv will launch in February 2015 as a digital streaming service (either free but ad-supported, or via a $6.99/mo subscription with exclusive content and other bonuses) available on several devices including Roku, Apple TV, Chromecast, Xbox, PlayStation, Smasung Smart TV, mobile and tablet devices. The tattoo artists from A&E's Epic Ink and Area 51 Tattoo were set up and tattooing brave convention goers. The middle of a busy convention floor surrounded by spectators may not be my ideal situation in which to snag some new ink, but it appeared to be clean and everyone looked happy, so I'm certainly not going to disparage anyone who chose to do so. Besides, if you really want a tattoo from a specific artist, and this is the one time you know they'll be in your town, why the hell wouldn't you seize the opportunity?! You want cosplay? 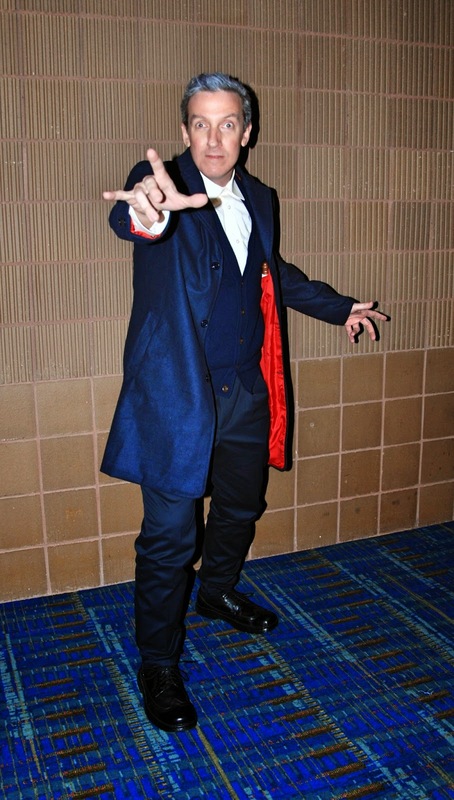 I got yer cosplay, right here! Vendors! Get your vendors right over here, folks! If there is a convention in the Gulf Coast area you think She-Geeks should cover, let me know by emailing: eris.shegeeks@gmail.com! Is There Really Room for Self Love in Cosplay?